I'll try to keep this short enough to stay interesting but long enough to provide information for those who, like me, were looking for details on making this trip. I got into backpacking a couple years ago and have been hiking a few of my local mountains (San Jacinto, San Gorgonio, Mt Baldy etc). 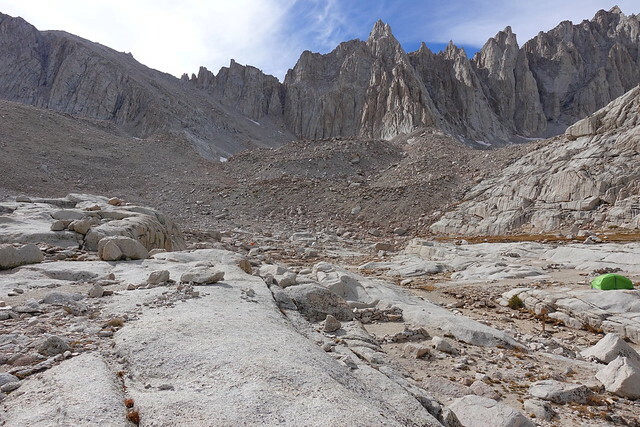 About a year ago, I made the decision to hike Whitney and started my research. I used forums, youtube, websites etc. I didn't get an overnight permit through the lottery, but, thanks to this forum, I discovered I would probably be able to grab a permit once the unclaimed permits were released.... which is what happened. Did some extra training and tried to hike some of the taller mountains around me a couple months up to a week or so before my trip. Day 1- Arrive in Lone Pine sometime in the morning/ early afternoon. 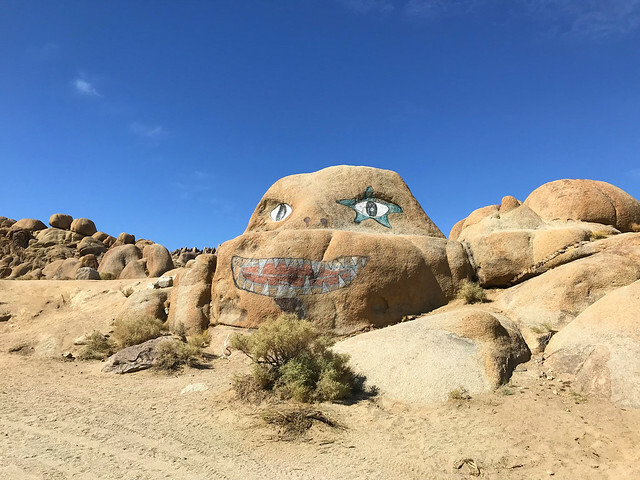 Wander around Alabama Hills until check-in time at my hotel (Best Western- not cheap, but nice room, breakfast included). Day 2- Check out of hotel and drive to Horseshoe Meadows and hike around for a couple hours to get into some altitude. 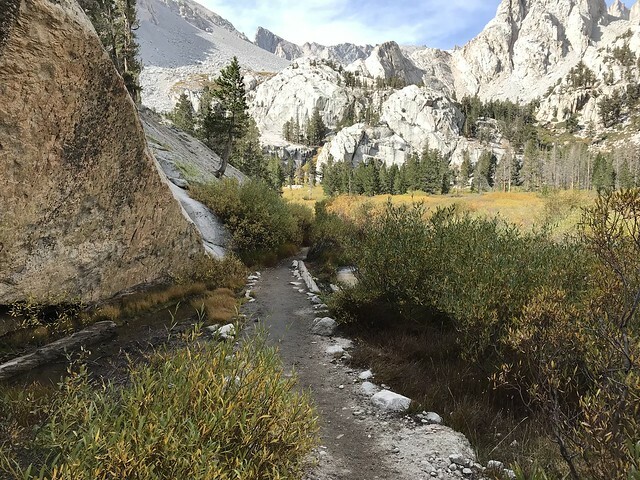 Did about 5 miles (round trip) of the Cottonwood Lakes Trail. Really liked this trail. Lots of bear lockers in the parking lot to store food while you're on your hike. 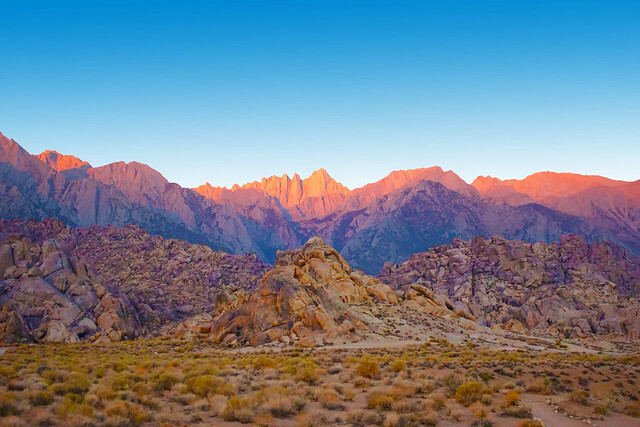 It's about a 40 minute drive from Lone Pine to Horseshoe Meadows. 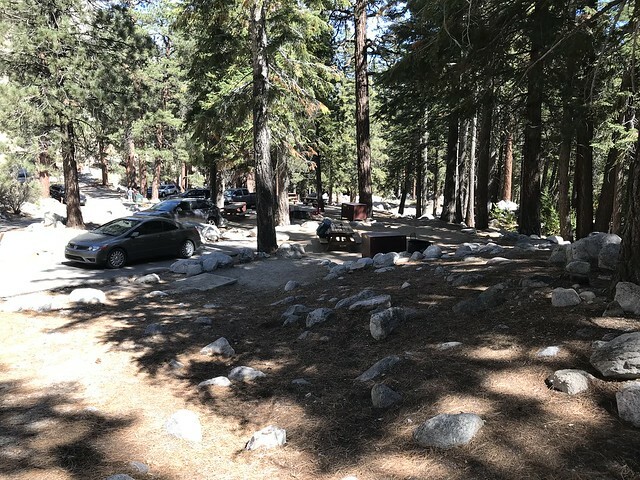 After my hike- drive to my reserved campsite at Whitney Portal around the 2:00pm check-in time. Camp in campground. Really liked this campground. 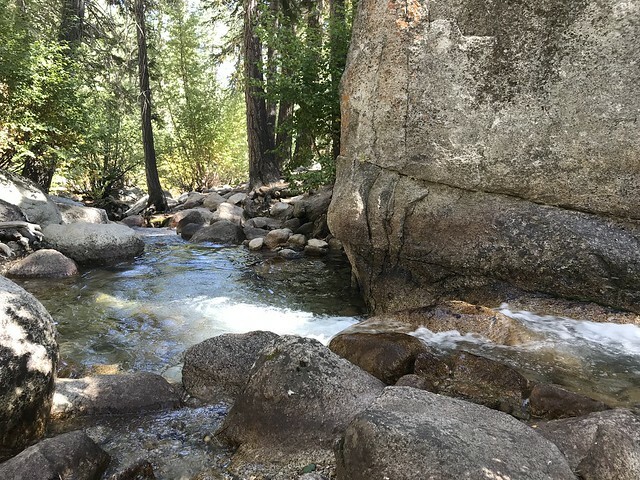 Campsite was right next to a small river/ stream. 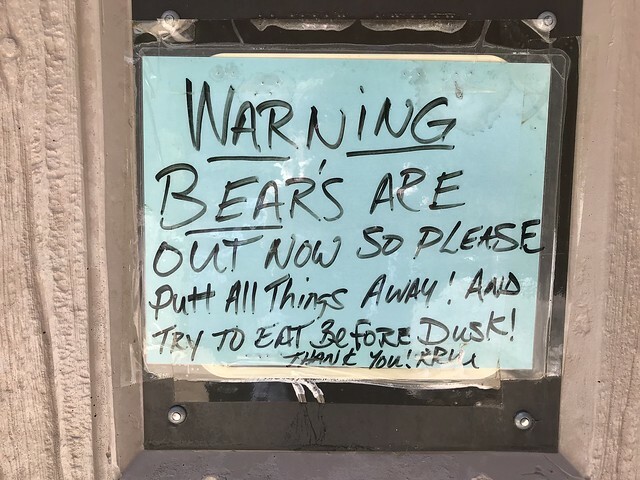 Bear locker to store gear/ food. Eat dinner at the Whitney Portal store/ restaurant (about a 15 minute walk from the campsite). Great store. Had lots of last-minute items available for sale: fuel, clothing, food, water filters etc. Prices were very reasonable. Day 3- Pack up and start hike to Trail Camp. Left at 8:00am. Arrived at Trail Camp at 12:45pm. Took a couple short breaks and one 15 minute break at Lone Pine Lake. I brought a new tent-stake supported ultralight tent and had no issues staking it using rocks and/ or getting the stakes started into the ground and used rocks to secure it. There was a lot of tent sites in the area. I would not worry about not getting one. Some were more hidden than others. 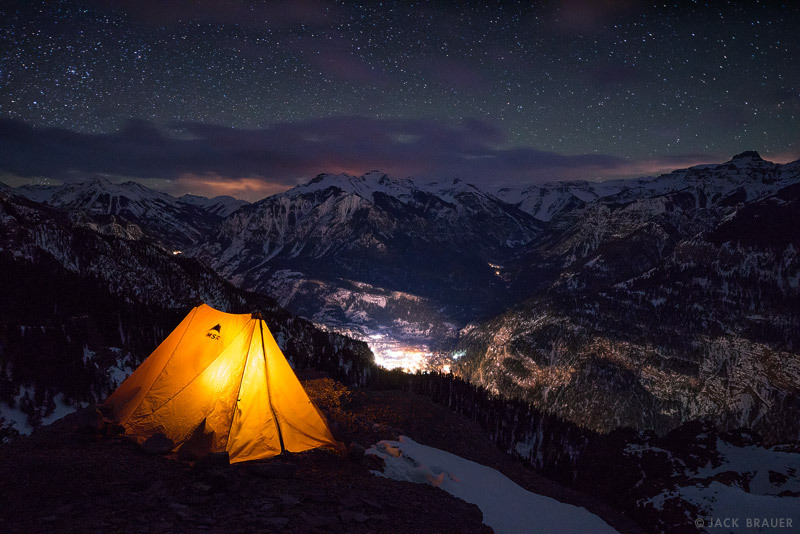 I suggest wandering around before deciding on where to set your tent. Weather was great. Forecast was sunny with highs of 50-60 and lows around 30-40. Note: Trail Camp is very exposed with little to no shade. Depending on your timing you may have many hours of direct sunshine/ wind etc to sit through before bed time so plan accordingly. I drank 2 liters of water and ate snacks during the hike to Trail Camp. On the hike up and for the first couple hours at Trail Camp, I felt fine. I started to get a headache around 3:00pm. I ate some food and drank a liter of water with some electrolyte tabs. Tried to lay down to rest and started feeling nauseous. Standing up, I was fine. About 5:30pm, I made the decision to hike out. I figured it would be better/ easier to hike out at that point v.s. hoping I felt better overnight. I didn't want to wake up in the middle of the night, feeling worse, and have to pack up and leave in the dark. 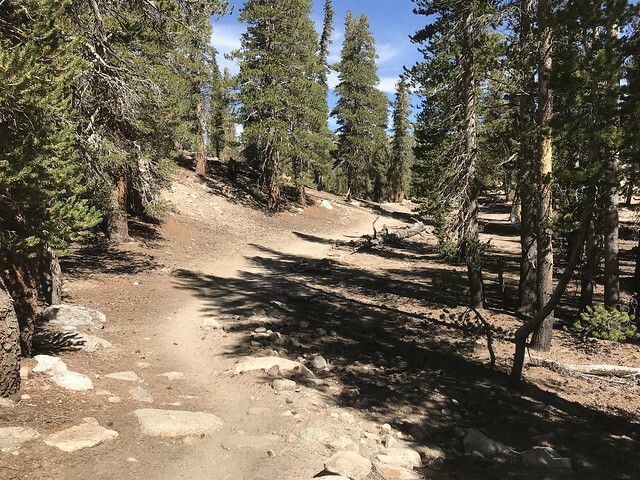 Don't know if there is a way to know if what I was experiencing was altitude sickness or something else but I felt better as I was hiking down. I think part of that was just the fact I was heading back. Made it back to the car at 8:00pm (I tend to hike very fast on the way back from hikes). Hiked about an hour in the dark. I used a headlamp, but, with the full-moon, I probably could have made it back without one (not that I would ever leave without a light source.. or two). All-in-all, it was a great trip. About a 4 hour drive for me from San Diego. I'll definitely be back. Thank you to the people of the forum for posting helpful information for people like me doing research. Hopefully, this post helps a few people. Pics in the next post. 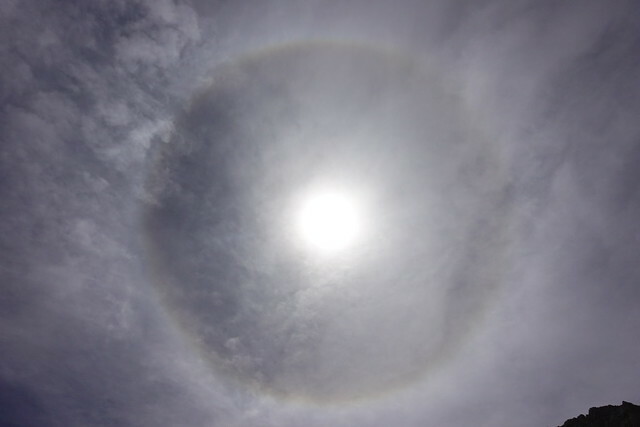 Don't know what causes this halo around the sun, but I saw it through my sunglasses and the camera caught it. Thought it might be the polarization of my glasses, but also saw it without my glasses. 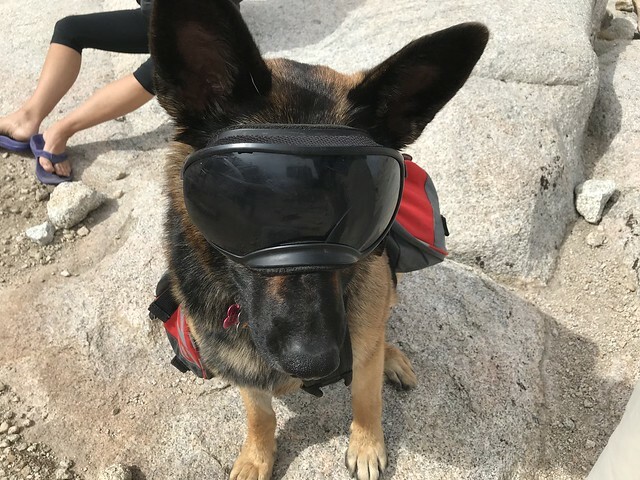 Not my dog... but loved his "Doggles"
4 hours to Lone Pine from San Diego (North County) would be under ideal road conditions. The fastest I think I've ever done that trip is 4.5 hours and I travel from Poway, which is just a few miles south from you. To better acclimate I'll usually go straight up to Horseshoe Meadow and spend the night there. 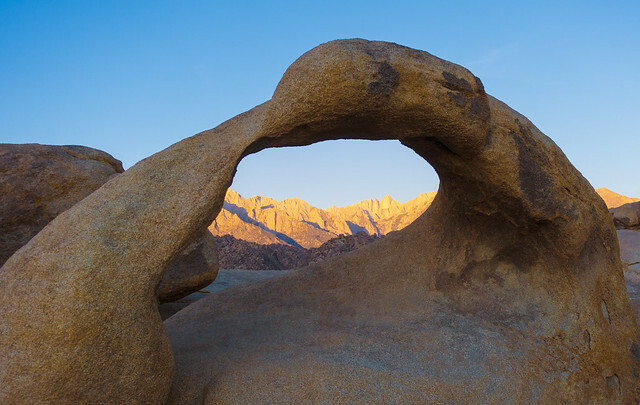 Hike in the morning and head down to the Visitor Center in Lone Pine for a permit. Then spend the next night also up at Horseshoe Meadow, near 10k feet. 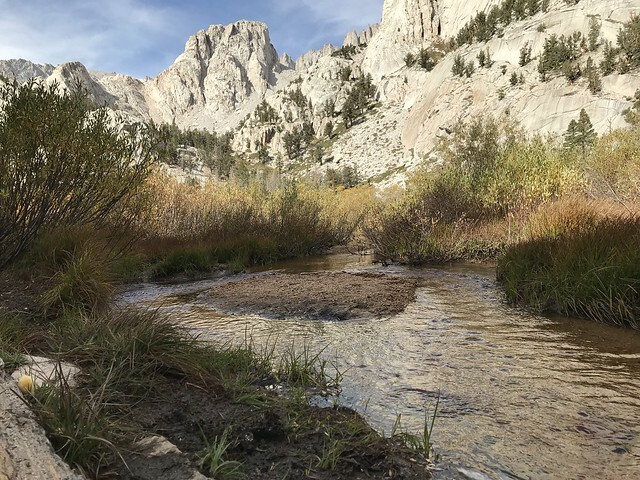 Your next trip up Mt Whitney should be easier now that you've been on the trail and know what to expect. 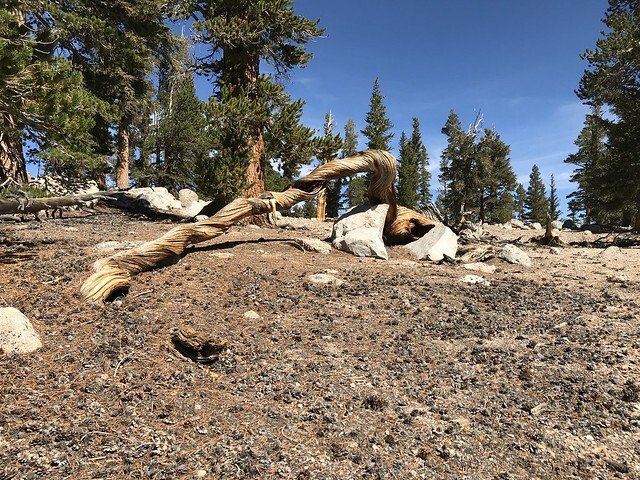 It is wonderful how soon that strange malady, so often described as “mountain sickness,” seems to disappear not only with the descent, but when the decision to descend has been made. Thanks for the report and the great pictures, MikeH! It is pretty likely that your symptoms would have worsened overnight. It's good you got out of there! This was a good first try, and it gave you good feedback -- you will need to prepare more for the altitude next time. Next time, start out taking Diamox. 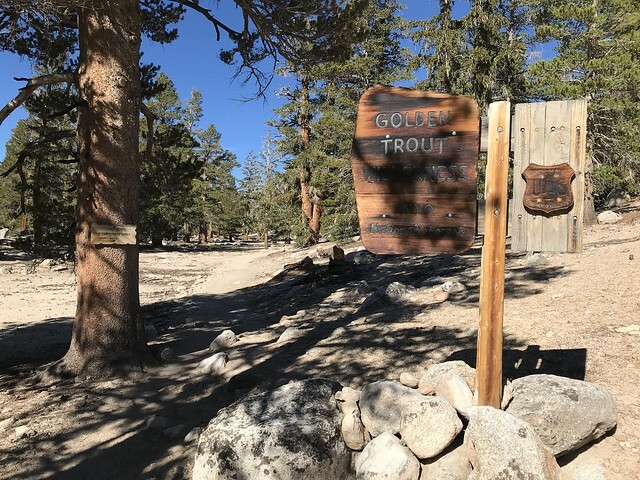 Try driving up directly to Horseshoe Meadows and spending a night. The more time spent at altitude the better. Also, consider setting up your base camp at Outpost Camp, rather than Trail camp. It would be like another night at HM. You are a fast hiker, so the summit would be easily reached from there. You really hauled up the trail with your overnight backpack. That energy exertion can add to the AMS symptoms. So a shorter hike, moving a little slower, might be helpful, too. Is that your tent? Is it cuben fiber? Will definitely get Diamox next time and follow your suggestions about staying at Horseshoe Meadows. Didn't think I hiked that fast so perhaps I was pushing a bit too hard. I also don't tend to take long breaks because I like to get to my destination so perhaps a couple 30 min breaks would help too. Sidenote- I still have a bit of vertigo which mirrors an issue I had while scuba diving using a defective regulator. Turned out I basically hyperventilated. Took a few days for the light-headedness to go away. May also indicate I was pushing too hard. My pack was heavier than I would have wanted. Threw a couple things in there last minute. Was about 38lbs with three days of food and 3 liters of water. I weigh 150lbs. I have mostly light/ ultralight gear so there is no reason for my pack to be that heavy other than poor choices on my part. Yes, that is my tent. It's a new tent for me. I wanted to try one of the new ultralight options. 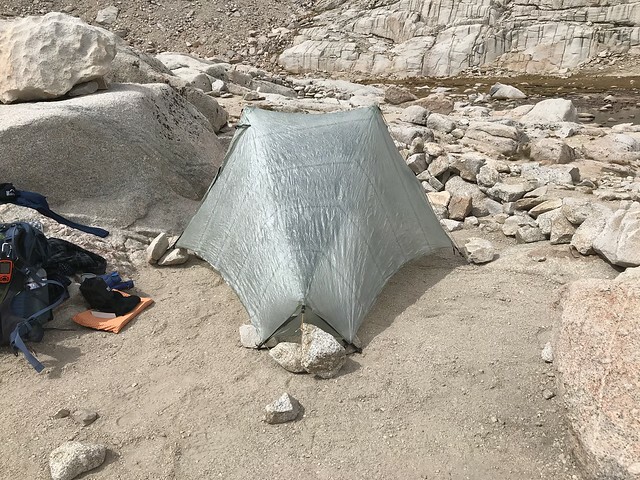 I had been using a Big Agnes Copper Spur UL2 which is a great tent but about 3.5lbs. The CF tent is a Tarptent Notch Li. Incredibly light (22oz or so). I think it will end up being too small for my needs, but otherwise an amazing piece of gear. Interesting quote, Harvey. Describes exactly what I felt once I decided to pack up and leave. > Describes exactly what I felt once I decided to pack up and leave. Quite possibly helped by an uptick in your adrenaline level -- your system kicked into high gear to get out of harms way! Thanks for the great trip report MikeH. 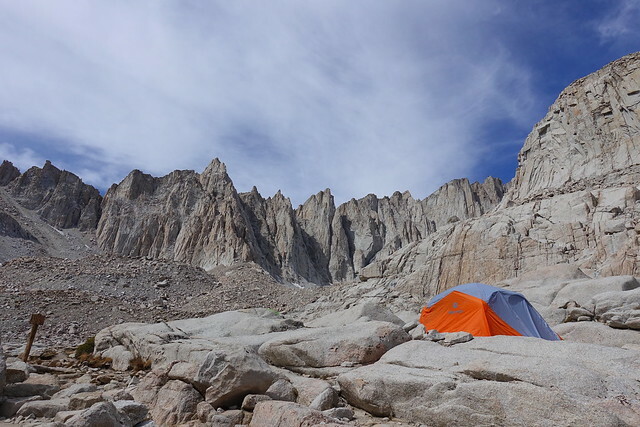 My first time on Whitney (age 16), I made it to just below Trail Camp before rolling my ankle. Ended up resting at Trail Camp while the rest of my group went up and had a successful summit. Thankfully the rest helped and I was able to get down under my own power. 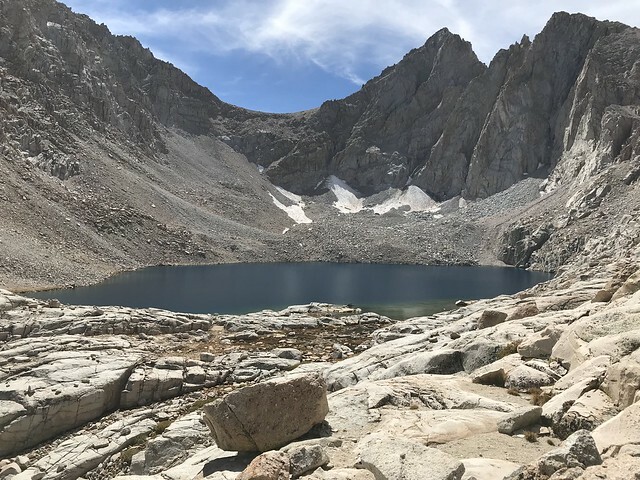 Second time up (age 17), went with my youth group and ended up descending at the Crest because two members of our group were starting to show signs of AMS - I volunteered to go back down with them and we made it all the way back down to the Portal. 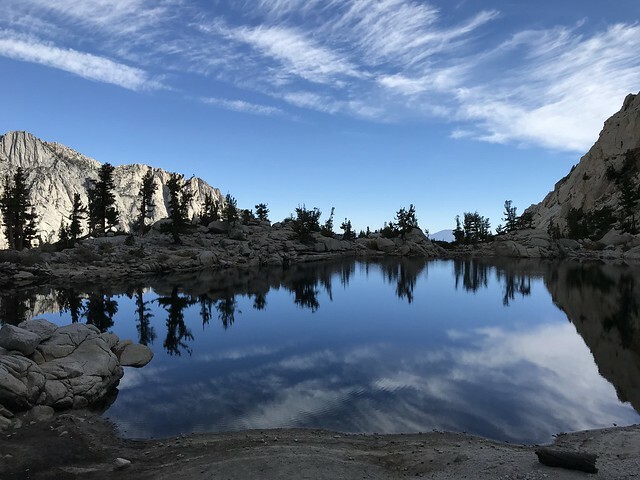 Third time was a charm - just me and a friend (age 20), we made a 4 day trip out of it - sleeping our first night at Outpost, then our second night at Trail Camp - summit on third day - spent the night at Trail Camp again and out on the fourth day. Just keep tackling it and practice safety first (as you did on this trip) and you should be fine! Generated in 0.087 seconds in which 0.030 seconds were spent on a total of 14 queries. Zlib compression disabled.